The public has always been fascinated with the mob since its birth in the late 1800’s. Yet since then it has become a shell of itself. No longer are the social clubs that dotted along such streets like Mulberry Street or 18th Ave are around. Both of those popular mob playgrounds are now more Chinese than Italian. But let’s not forget other ethnic mobs that also have vanished. The Greek mob ran Astoria places like The Grecian Cave, Grecian Gardens and even many of their social clubs are gone. What is left has been absorbed by either the Russian or Albanian crews who do not have the organizational structure or discipline to operate like the traditional mafia. During the 30’s there were such figures like Charles “Lucky” Luciano, Frank Costello, Meyer Lansky, Bugsy Siegel, Vito Genovese , Tommy Luchese and many more who controlled an empire. As the old quote from the Godfather movie goes; “We are bigger than US Steel”. This quote was not far from the truth. This collection of men made history with the power they welded on an international level. Their legacy would be continued with men like Joe Bonanno, Joe Profaci, Carlo Gambino, Vincent Gigante, Murder Inc. etc. Men like Bonanno and Gambino would lay the groundwork for the Mafia to prosper and grow in America and abroad. Joe Bonanno himself expanded into Canada where he planted the flag that would become the Vito Rizzuto family. The Rizzuto family controlled Toronto and Montreal for many years and did the bidding for the Bonanno family. Gambino on the other hand played a different hand and made sure to solidify his position as the Boss of bosses. He worked hard to eliminate anyone that would dare oppose him. Two such individuals tried, Vito Genovese and Joe Bonanno. Joe was suspected of planning to wipe out Gambino and Luchese to become “capo ti tutti capi” but a soon to be Boss; Joe Colombo got the word to Gambino. Hence, Bonanno was “kidnapped” and a deal was stuck that he would retire and leave behind the familia he built. This he did and left for Arizona. Vito was convicted of a drug charge and ended up dying in prison. The narcotics charge of course was arranged by Gambino. Around this time it was the early 70’s and things were due to really change for the Mafia. A war broke out between the boss of the Profaci clan and a rebel crew within the family. The Gallo brothers were against the boss Joe Profaci who short-changed them in a huge way. The war went on for a few years leaving many casualties. Then Profaci died and Joe Colombo was installed as the new boss by Gambino as a reward for his informing on Bonanno. Yet Colombo was just as much a cheapskate as Profaci was and another war broke out. The Gallo’s lost the war and most of the men were taken in by the Genovese family headed by Anthony Salerno, but actually run by Vincent Gigante, the same Gigante who shot Frank Costello but merely injured him and caused him to retire from the Mafia. The Colombo’s weren’t the only ones with issues. Soon in the middle of the 70’s the Bonanno’s received a huge blow. 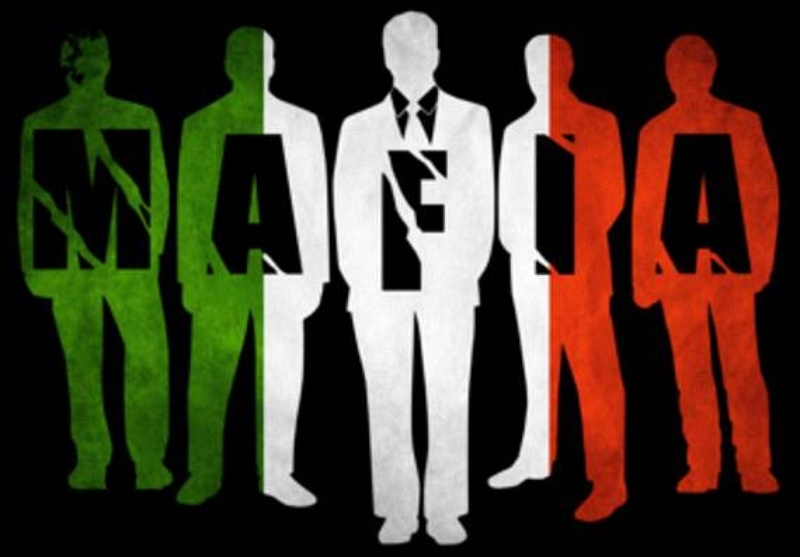 The government began to get smarter and use new laws and operatives to go undercover and shed a huge beacon on the; who, what, where and how of the Mafia. This was when Agent Joseph Pistone exposed the Bonanno family from the inside out. He targeted the crew run by Dominick “Sonny Black” Napolitano in the Brooklyn section of New York. His operation was a huge success and the mafia took a major blow. Of course the Bonanno’s were down but not out. The reigns were taken over by Joe Massino and Sal Vitale. But even that would crumble soon enough. Even though Gambino controlled and ran his family with an iron fist it also would soon fall. This was a sign that the wall was about to crack and never be sealed again for what has been termed the octopus. All the families began to show weakness. The Colombo’s became embroiled in another inter-family war between Carmine “The Snake” Persico and Victor Orena. A war that raged through the 80’s into the start of the 90’s. The Luchese family was about to be slammed after it was discovered that the head of the family Anthony “Gaspipe” Casso had two detectives on his pay-role taking on contracts. It was not a good sign let alone Casso was paranoid and had many men eliminated that he thought were rats. The Bonanno’s were in for a shock when their boss, Joe Massino decided to flip. Massino actually took on the family and gave it a new pulse after the Piston debacle. But he would do the unthinkable and turn on his own word. The Gambino family would end up being hit the worst. A family that was the most powerful in the country became the most wanted. After the death of Carlo Gambino and the installation of Paul Castellano bad blood was brewing. A tough kid from Brooklyn, John Gotti was moving up in the family and resented Paul taking over. Gotti was hoping his mentor Aniello “Neil” Dellacroce would be the new boss. Hence, a rivalry began and Gotti decided it was best to eliminate the boss. He did with his new found crew and the Gambino family was never to be the same again. Gotti’s camera hungry personality drew intense FBI pressure and not only for him but other borgatas. Gigante wanted him killed by a New Jersey crew run by Bobby Manna. Lucky for Gotti he was warned of the plot by the FBI, this is standard protocol when they know of such plans. Gotti would eventually fall to the government’s desire to topple him with the help of his underboss, Sammy “the Bull” Gravano. At this point the Gambino family was in shambles and has not risen since. After the life sentence Gotti received the mafia was in upheaval and had to make some changes. In the late 90’s into the 2000’s the mafia began to go underground and issued contracts ceased to exist. The social clubs that these men coveted as their private sanctuary were shuttered forever, and not by the FBI but by the mob. Gotti brought too much attention to what was supposed to be a secret society. His weekly meetings at the Ravenite Social club in Manhattan where capos, soldiers and bosses congregated out in the open was a God –send for the FBI. They took pictures and recorded conversations that only assisted in convictions. These types of out in the open gatherings prompted the mafia to shut down social clubs indefinitely. Contracts where soon funneled out to Black gangsters or Albanians if any at all, the current mafia is looking to attract as little attention as possible. It is also the fact that technology is so advanced that the law can catch you when you’re breathing let alone committing a crime. Even though other ethnic mobs are trying to mimic the traditional mafia they do not have the intelligence or discipline to be a factor. The Albanians have taken over such areas like Arthur Avenue in the Bronx a haven for the mafia back in the day. They also have pushed into Astoria which was run by the Greek mob under the Luchese Family umbrella. But the Luchese family is not what it once was. Its current boss Steve Crea is in prison and his son Steve Jr is due to be convicted. The mafia is down but not completely out. The legends of Luciano, Costello, Lansky, Rothstein and Gambino will never be duplicated as the new generation of gangsters is nowhere near their predecessors. Men like John Gotti Jr or Joe Corrao Jr are not gangster material and never were. The Luciano’s of their day were men who grew up with nothing, poor and deprived of any riches. They had to claw their way out of the ghetto to become what they became. The new breed comes from manicured lawns and fancy cars never knowing what it is like to wear hand-me downs or wear worn out shoes. This is the state of the current mafia; men who have no right to call themselves “made men” and guys flipping faster than any pancake in IHOP. Yet as we mentioned they are down but not completely out.